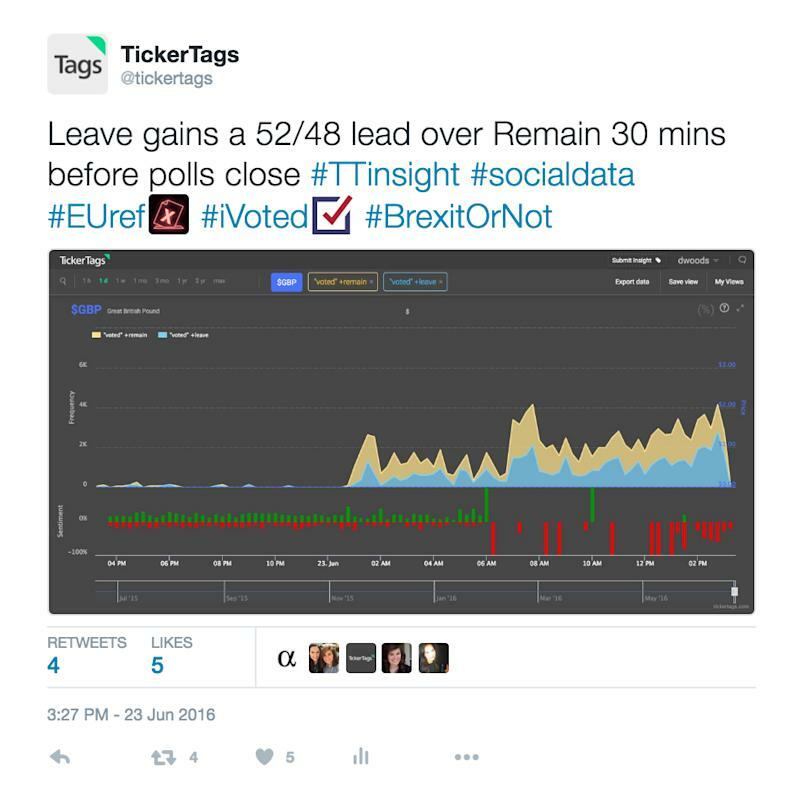 When the whole world was waiting on official Brexit vote tallies out of the U.K. on Thursday, TickerTags was able to project the outcome of the vote based on social media data before the polls closed. TickerTags monitors social media sites to identify trends by searching for words and phrases that appear together in social media content, such as tweets. 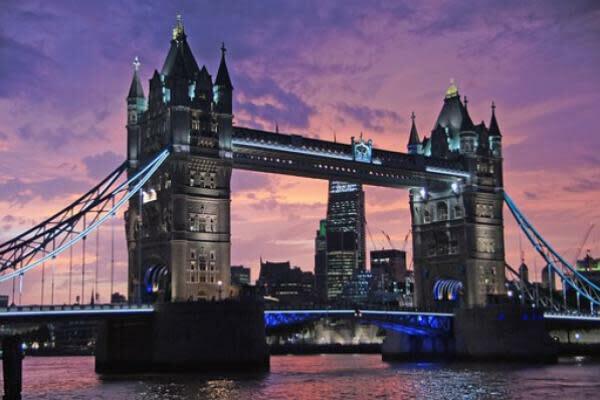 Early in the evening on Thursday, Twitter exit polling showed the vote leaning in favor of “Remain.” However, the ultimate outcome of the vote may have been decided by a late surge by the “Leave” campaign in the final hours of voting. At 3:27 PM CDT, just minutes prior to the close of the Brexit polls, real time organinc (non-bot, non-retweeted) Twitter mentions of EU referendum-related word groupings indicated a 52/48 vote in favor of Brexit. This sample ended up being exactly in-line with the official vote results that were released hours later after a massive sell-off in futures markets. Media outlets didn’t start officially declaring the Brexit vote until hours later. CNN officially called the race at 10:58 PM, CNBC called it at 11:01, Bloomberg reported it at 12:07 AM and Reuters reported it at 12:22 AM. The iShares Trust (NYSE: EWU) sold off more than 11 percent in Friday’s session, meaning that traders that were late to react to the vote’s outcome were likely hit extremely hard.